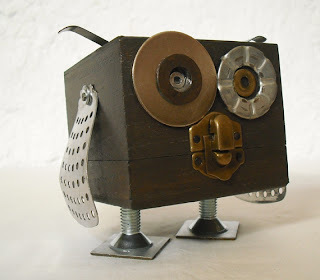 He is made out of a wooden box (sanded and stained with a water-based, wengué colour varnish and with bronzed hinges and Chinese-style clasp closure to form the beak. 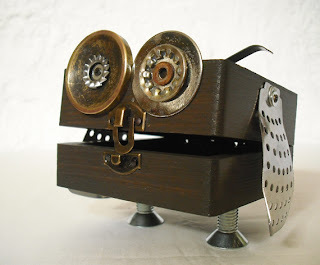 Oh, and turned upside down, too! 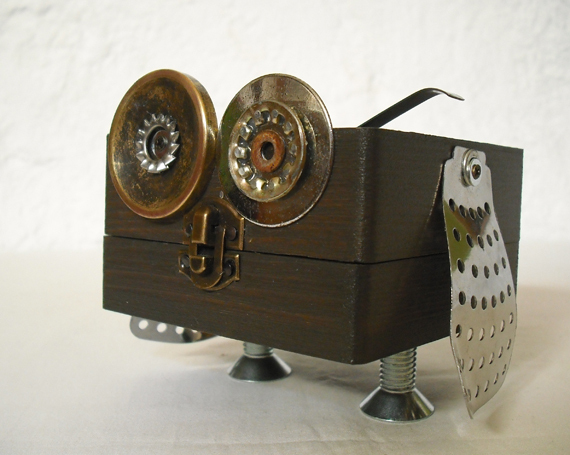 ), some new and old rusty washers for the huge eyes and a couple of thick bolts and washers for the legs-feet. 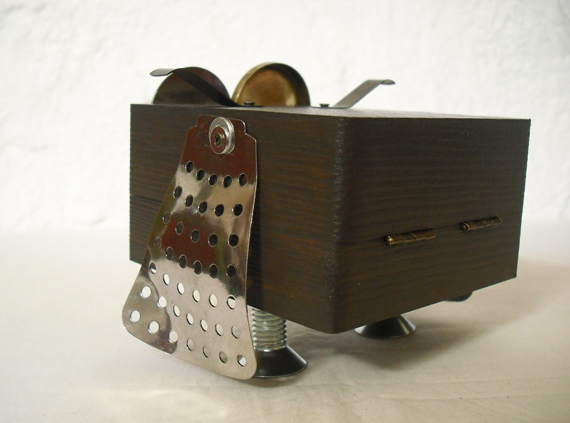 His wings are two flaps from a cooking steamer basket, and the pointy ears are made out of those metallic bits used to secure pictures to the frames. 9x9x10cm. 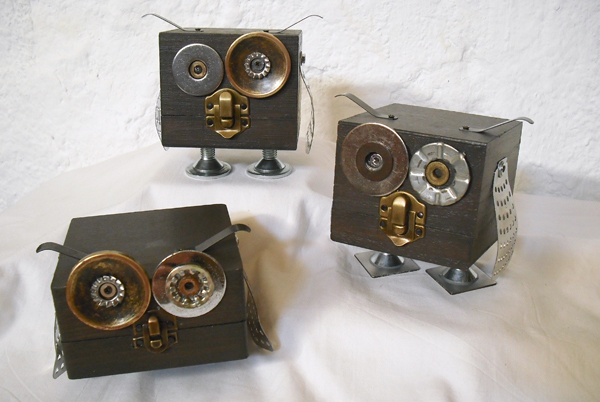 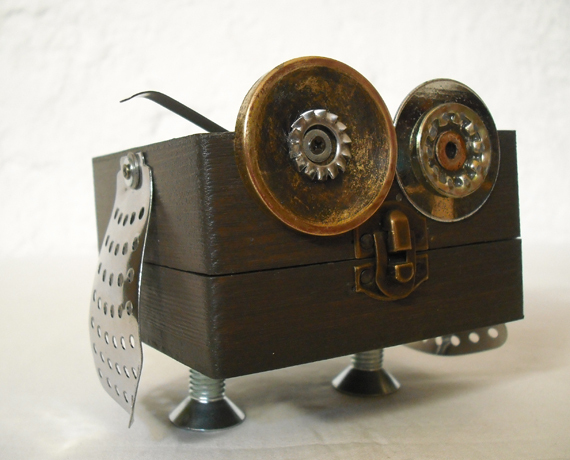 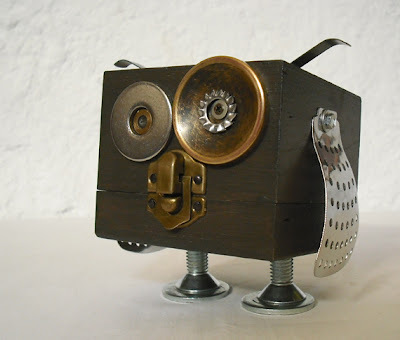 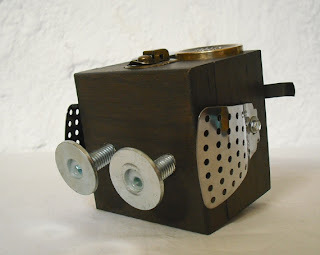 He is also made out of a wooden box (turned upside-down, sanded and stained with a water-based, wengué colour varnish and with bronzed hinges and Chinese-style clasp closure to form the beak), some new and old rusty washers for the huge eyes and a couple of thick bolts for the legs, a pair of drawer knob back plates for the feet. 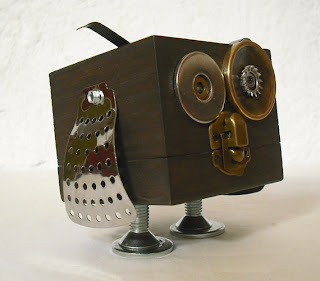 His wings are two flaps from a cooking steamer basket, and the pointy ears are made out of those metallic bits used to secure pictures to the frames. 9x9x10cm, same size as Will. 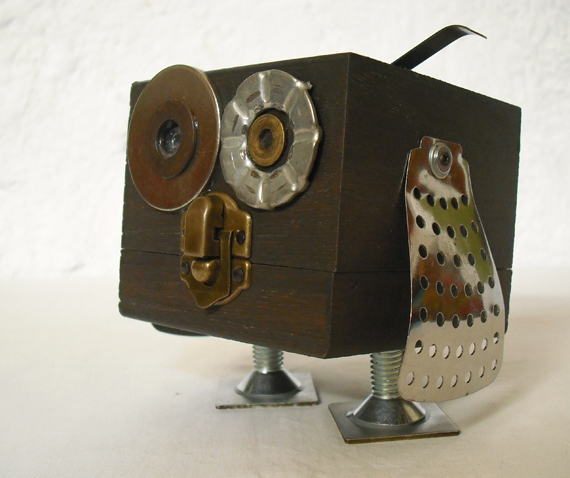 She is also made out of a wooden box, only not square-shaped -as her brothers'- but wider and shorter (I have also turned it upside-down, sanded and stained it with a water-based, wengué colour varnish. 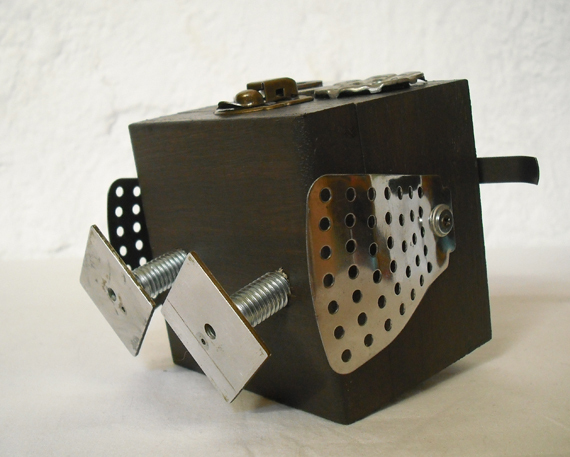 It has the usual Chinese-style clasp closure to form the beak), a couple of thick bolts for the legs. 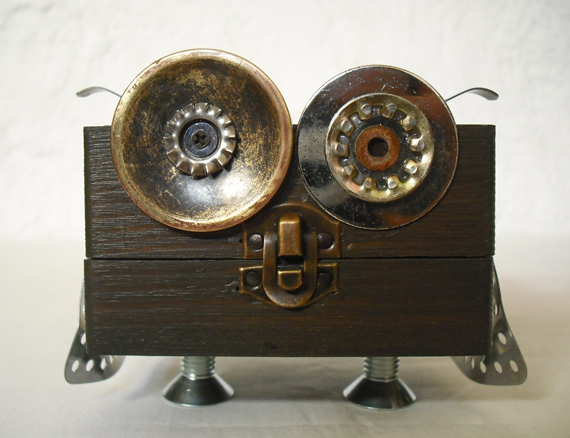 The eyes are made out of some new and old rusty washers and a vintage bronze drawer knob back plate. 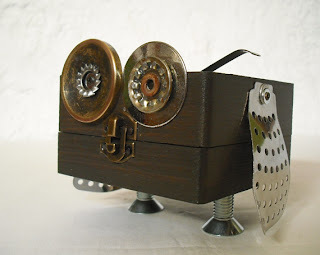 His wings are two flaps from a cooking steamer basket, and the pointy ears are made out of those metallic bits used to secure pictures to the frames. 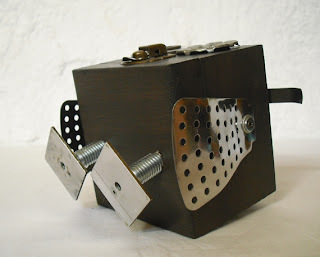 9x10x9cm.